In the only footage that exists of Clarice, as fellow Brazilians affectionately refer to her, she looks at her interviewer with a bewildering combination of innocence, rage, and nonchalance and tells him: "I insist on not being a professional. To keep my freedom." Like so many of her thoughts and statements, this one overflows beyond its apparent simplicity. 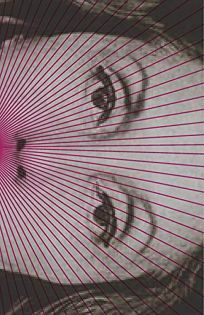 It is at once a deeply personal position taking in how Clarice Lispector (1920-1977) envisages her craft and an overt social critique directed at a world that had just discovered the market value of the author. It must be remembered that Lispector's publishing life ran parallel to but was always independent of the Latin American Boom, which was, in many ways, a literary brand, as well as the first internationally visible map of professional writers in Latin America. But Lispector cannot be circled into that, or any map. Her ravishing freedom will always just spill out from the restraints of any conceptual boundaries. Lispector's work never engaged explicitly with the political debates of her time. When asked in the same interview what the duty of Brazilian authors is, she replied: "To speak as little as possible." The answer is, of course, political, directed at the perceived duty of the writer to be an enlightened public intellectual, but in many ways it is also a declaration of her ars poetica. Lispector--like Beckett, or, to a degree, Kafka--strips language to the bone, in search of some kind of metaphysical core or nucleus. The way she composes a sentence has more to do with subtracting layers from the world she observes than with adding commentary to it. In the devastating story "Love," for example, the protagonist notices people in the street: "Next to her was a lady in blue, with a face." Lispector's laconic, almost aphoristic syntax is, at times, full of a brutal sense of humor and at times disquieting. In the classic "A Chicken," a family chases a hen that, standing on a roof far from their reach, looks like "an out-of-place ornament, hesitating on one foot, then the other." In "Report of a Thing," about an alarm clock, the narrator notices "its infernal tranquil soul." In "Love," dried pits scattered on the ground, with their "circumvolutions," look like "little rotting brains." Lispector is the master of magnifying small, everyday details into epiphanies. The Complete Stories — more than 80 short stories, covering her entire writing life chronologically — seems to both restitute the form's most essential characteristics and open it up to boundless possibilities. Lispector writes, in the most simple and straightforward sense of the term, stories to be told. They are not concepts disguised as narratives, as are those of J.L. Borges. They are not investigations into form and structure, as are Julio Cortazar's. They are not developments of situations, as are many of Raymond Carver's. Lispector is one of those rare writers who can simply tell a story. She observes the lives of passing strangers — a girl who boards a train, a woman who attends a lecture on a hot day, a man who drowns, an old lady who visits the gynecologist — and, in doing so, confronts us with our own loneliness, our fragility, our humanity. Valeria Luiselli is the award-winning author of Faces in the Crowd and Sidewalks. Her novel The Story of My Teeth is forthcoming from Coffee House Press in September 2015.